A special Chesterfield Borough Council meeting has been called to decide which of two devolution deals would bring the most benefits for Chesterfield residents and businesses. The council has played an active part in helping to negotiate two deals, which would devolve powers and responsibilities currently held by the Government in London to a more local level. These include powers and funding to deal with issues such as housing, skills and training, business support and transport. discussions ahead of an anticipated agreement from the Government. The deals will be given to, and be managed by combined authorities, which are groups of local councils in each local area. Under Government proposals these authorities would be led by an elected mayor. Five councils, including Chesterfield, cover areas that could benefit from either devolution deal due to the current overlap between the Sheffield City Region and North Midlands areas. Chesterfield will be the first of these councils, which are: Bolsover District Council, Derbyshire Dales District Council and North East Derbyshire District Council in Derbyshire and Bassetlaw District Council in Nottinghamshire, that will have to choose in the coming weeks which devolution deal and combined authority partnership area to sign up to. Any choice made by councillors when they meet at the Town Hall in Chesterfield at 5pm on Thursday 3rd March will then be subject to public consultation before the Government makes the final decision. Councillor John Burrows, leader of Chesterfield Borough Council, (left), said: "It is important to be clear on what this debate is and isn't about. "It is not a debate about whether Chesterfield remains in the geographical boundaries of Derbyshire. We are proud to be in Derbyshire and will stay in Derbyshire irrespective of the outcome of these discussions. "It is also not a debate about losing any of our council's current powers and responsibilities or about the role of Chesterfield's Civic Mayor. "What this debate is about is what is best for our economy, for the jobs and training prospects of our residents, for the future sustainability and growth of our businesses, as well as access to millions of pounds worth of investment. "At the moment, many of the powers that we need are held by the Government. We are therefore being asked how best these powers and the accompanying money can be devolved down to a more local level that is in the own self-interest of the people of Chesterfield." A report by council officers says that both options have advantages and disadvantages for Chesterfield but, on balance, is recommending that councillors apply to become a full member of the Sheffield City Region devolution deal - known as a constituent member - and also apply to have non-constituent membership of any North Midlands devolution deal that is agreed. to Derby, Nottingham and other southern areas of both counties. Councillor Burrows added: "Although there is a recommendation from officers it is up to councillors - as the elected representatives of the public - to decide on the night which partnership and deal offers the best prospects for our town, after hearing all the arguments during the debate. "To get a devolution deal in either area, the Government has insisted that an elected Mayor is created. This Mayor would not impact in any way on Chesterfield's Civic Mayor but would have oversight of the new powers devolved from the Government and would campaign on behalf of the area for greater devolution in the future. "Whichever deal we choose to be part of, we know that we will need to accept an elected mayor that covers a wider area than just Chesterfield or indeed Derbyshire. 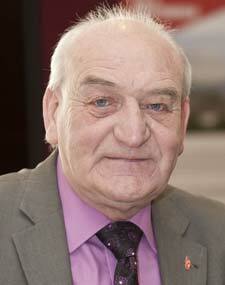 "The choice councillors make on the night will be the beginning rather than the end of a process. A public consultation will give all residents and businesses their say on the devolution options that best fit the needs of Chesterfield. Only when that process is complete will the Government make a final decision." A copy of the report assessing the options open to councillors can be seen at www.chesterfield.gov.uk and clicking on the Devolution Deal button at the bottom of the page. A special council meeting saw Chesterfield Borough Council Councillors decide that Chesterfield is to apply to join a devolution deal with Sheffield City Region which could bring millions of pounds and hundreds of job opportunities to Chesterfield and Derbyshire. 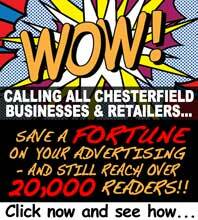 We're here to make a difference to the community of Chesterfield! said Principal of Chesterfield College Stuart Cutforth, as he and other dignitaries officially opened the new Queen's Park Sports Centre. In terms of personnel, it's business as usual for Chesterfield and NE Derbyshire's two MP's - after both Toby Perkins and Natascha Engel were returned to parliament overnight in the 2015 General Election. Children from a Chesterfield school have been busy with paint, glue and glitter following a challenge set by Chesterfield MP Toby Perkins to design his Christmas Card More..
Will and Testament is a moving and informative tribute to Tony Benn - political firebrand, prolific diarist, writer, charismatic anti-war campaigner, husband and father. Chesterfield residents will benefit from the enhanced new Sports Centre, to be built on Queen's Park Annexe, as Chesterfield Borough Council receives £2 million of funding from Sport England. A national survey that aims to gather information about the use of 'legal highs' is being supported by Derbyshire County Council. Chesterfield Borough Council is reminding residents to always check for ID from staff who are carrying out work on behalf of the council. A crackdown on people who are misusing Blue Badges has seen just over 700 checks carried out in four months. More..